Taking a risk can really make our life more exciting. 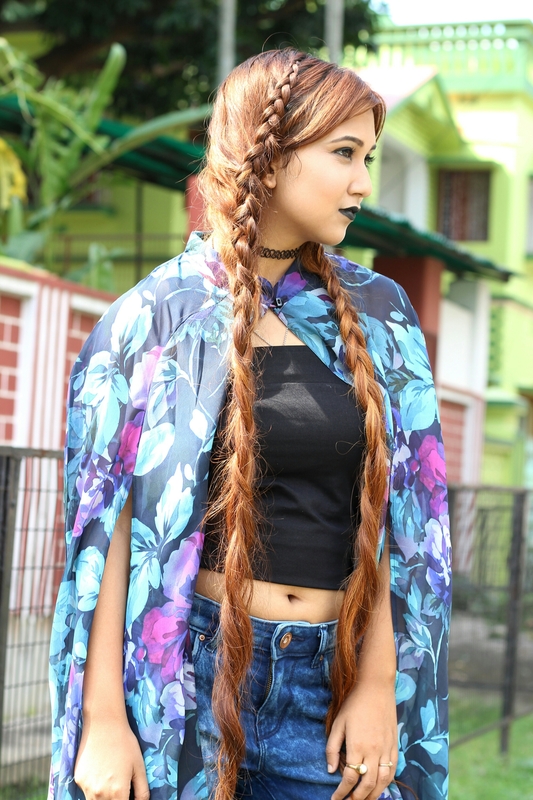 So yaa when I got to style with this blue floral cape, which is so cool and can give such a stylish look, as these are always on trend. 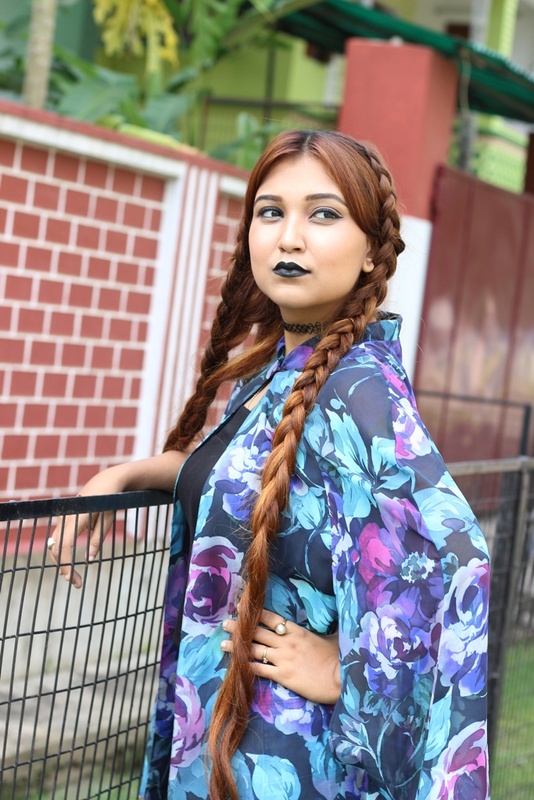 This cape is from www.lovefromindia.in . I just love this store because of their trendy unique outfits. 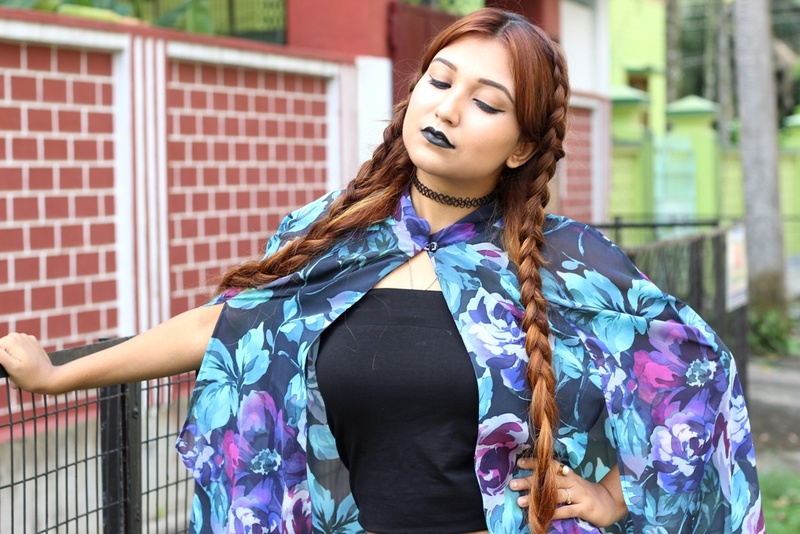 I wore a black skirt as a top to enhance the beauty of this cape. To keep a bit simple I choose to wear a denim jeans. So see you again in my next post, till then keep styling.